As refreshing as it is to see charismatic chameleon-like character actor Steve Buscemi clad in dapper period attire as the antiheroic lead of HBO’s acclaimed prohibition set powerhouse series Boardwalk Empire, his role as New Jersey State Treasurer Enoch “Nucky” Thompson isn’t quite as compelling as the writers seem to think it is nor is it multifaceted enough to build an entire show around. Of course, to be fair, there aren’t a whole lot of characters – particularly of the female variety on the male-dominated Home Box Office network – with whom we can if not identify than at least empathize or become engrossed in their plight. The final result culminates in a marked level of disappointment no doubt influenced by the widespread popularity of the admirably ambitious yet ultimately overrated production whose bandwagon I couldn’t manage to climb aboard. Yet there’s still enough glimmers of excitement evidenced in the rest of Boardwalk’s ensemble cast to keep the storylines spinning at a satisfactory if slightly unsatisfying pace from season start to finish. 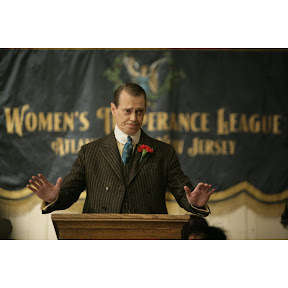 Admittedly, considering that Nucky dominates the series arc as the overall centerpiece or compass of HBO’s sprawling gangster piece, it’s fairly easy for the typically compelling Buscemi to be upstaged by Boardwalk’s impressive laundry list of similarly overlooked silver screen actors given the well-deserved opportunity to steal focus on the small screen. 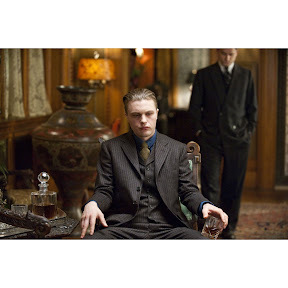 While all of the cast members have their moment to shine, regardless of the fact that most of the gangsters are interchangeable archetypes, in the first season of HBO’s latest smash hit, a new star emerges from the allegorical Greek Chorus of impending tragedy that’s begun to befall Nucky in the form of Michael Pitt. 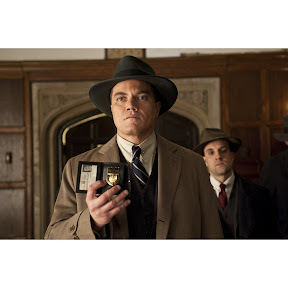 A former protégé of Nucky’s that’s still trying to cope with the atrocities of World War I, Pitt’s Jimmy aims to rise in power from hired gun to associate of Al Capone, with a daring hijacking and engineering of multiple double cross standoffs between the east coast bootleggers. 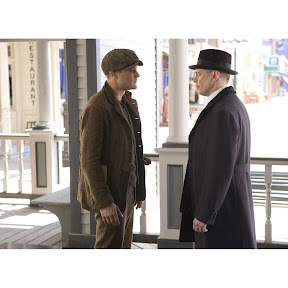 Though its dialogue is less stylized, Boardwalk Empire, which was created by Terence Winter and based on an eponymous historical book centering on Enoch “Nucky” Johnson, is similar to HBO’s western series Deadwood given its adherence to authenticity. Executive produced by The Departed filmmaker Martin Scorsese and actor Mark Wahlberg among others, Boardwalk, which is bolstered by a dazzling visual style and painterly production design, is also at times – and unsurprisingly given the overlap in behind-the-scenes and occasional in-front-of-the-lens talent – incredibly reminiscent of Winter’s former HBO smash The Sopranos. Additionally elevated by its exceedingly original casting which makes great use of promising, under-utilized or disappointingly miscast talent like Two Family House actress Kelly MacDonald, who – like Buscemi far exceeds her ho-hum role – former Entertainment Weekly dubbed “It Girl” Gretchen Mol, Dabney Coleman, Michael Stuhlbarg and others. Settling for the “look” of a crime show over the substance of one more often than it should, Boardwalk frequently wastes screen time on titillating fillers of hedonistic sexual gluttony to the point that you can’t help but realize how much better the show would’ve been if the repetitive T&A sequences were instead used to augment subplots or strengthen our understanding of its rather large cast of supporting players. 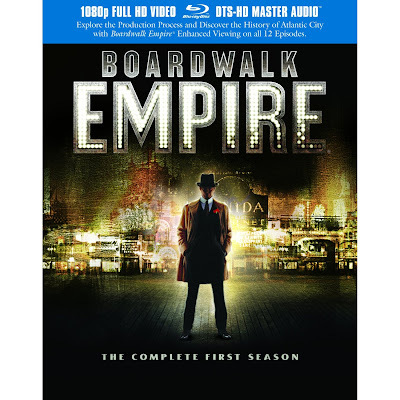 Although it easily exceeds the stuff of broadcast network TV dramas on sheer complexity alone, Boardwalk nonetheless misses the bar its raised by its home network of HBO years ago – long before Buscemi played Nucky – back when he pulled up a director’s chair on The Sopranos. So vibrant in Blu-ray that it shimmers like a flapper in beads across your widescreen HDTV, HBO’s long-awaited first season home entertainment release of the Scorsese produced American crime saga is packed with more tricks than Houdini’s brother is given in an episode late in the game. Taking up considerable shelf space and cardboard, while the Blu-ray collection isn’t as compact as other high definition releases, it’s a glossy treasure trove for knowledge junkies – offering endless facts, filmmaking secrets and in-depth topics in an enhanced viewing mode where you can watch interviews, mini-documentaries and engage in interactive study on both the television production and the Prohibition era alike. Text ©2012, Film Intuition, LLC; All Rights Reserved. http://www.filmintuition.com Unauthorized Reproduction or Publication Elsewhere is Strictly Prohibited and in violation of the Digital Millennium Copyright Act. FTC Disclosure: Per standard professional practice, I received a review copy of this title in order to evaluate it for my readers, which had no impact whatsoever on whether or not it received a favorable or unfavorable critique.